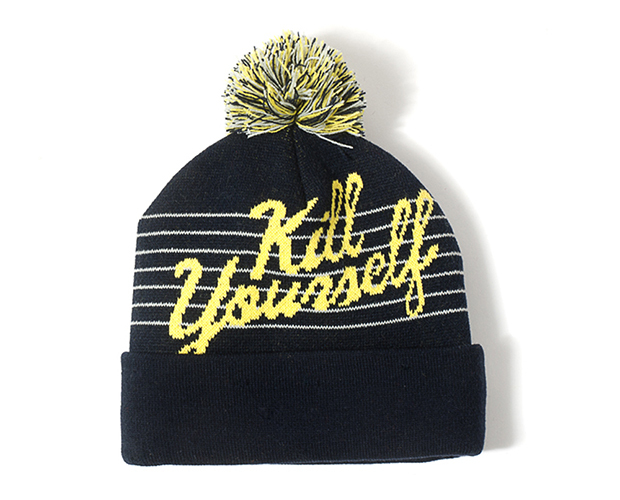 Kicking off 2013, Indcsn drop a handful of updates on their ‘Kill Yourself’ and ‘Get Fucked’ Beanies. Six styles are available in total, three per message, in an assortment of colours. The brand have been running with these for some time now, and although the quality in design and construction was never bad, these new styles are a marked improvement. They’ve definitely become fan favourites, though we have seen plenty of these now and it would be good to see the brand kick hate up a gear with something new on the next release. They’re available now from Indcsn for £25, check them all out below. @cupcake can I ask why they seem rushed? Grow up, jesus christ, who the hell wears this? Nice hats, awful slogans. 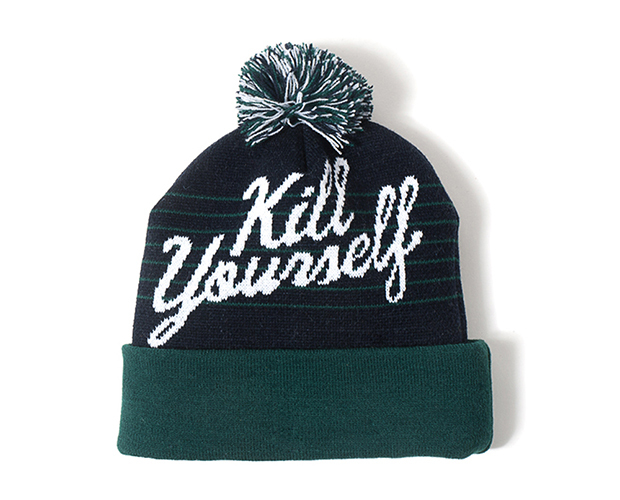 This is like what Kevin and Perry would wear to piss off their parents. 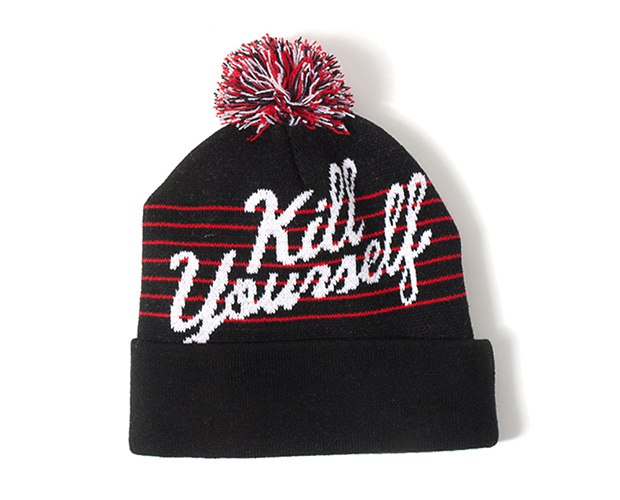 Yet they sell so many of them… I’m pretty sure it dosen’t matter what anyone thinks.